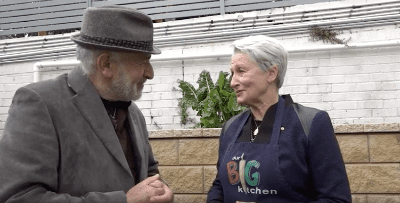 Independent Candidate for Wentworth, Dr Kerryn Phelps, on a visit to Our Big Kitchen, finds a few minutes to speak to Henry Greener about her political views, her connection to community work and her attempt to make a difference through entering politics as the Member for Wentworth. 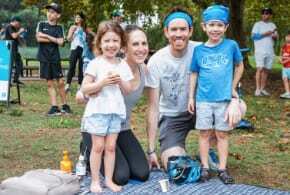 The PM’s attempt to gain more Jewish votes in Wentworth all failed. The Tel Aviv embassy move proposal – fail. $2 million for security – fail. 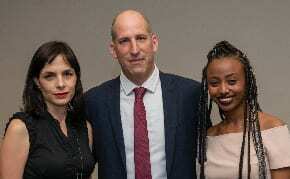 Former Australian ambassador to Israel as Lib candidate – fail. 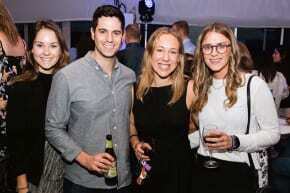 Wentworth Jews, like the other voters, were not fooled by the knee jerk talk and hype from the government. Congratulations Dr Phelps. While Wentworth was a controversial by-election it is not looking good for the Liberals in the general election next year.